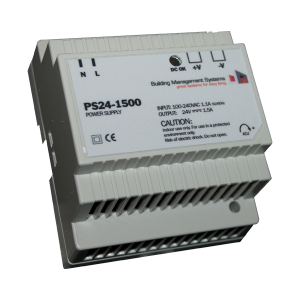 Universally applicable limit switch for the brightness-dependent control of electrically operated exterior blinds, awnings, etc. Incl. 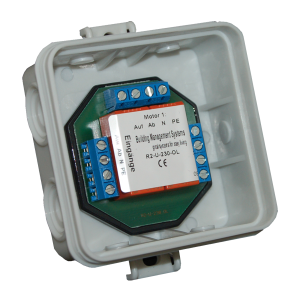 External sensor for brightness measurement in the range of 2 – 80 kLux. 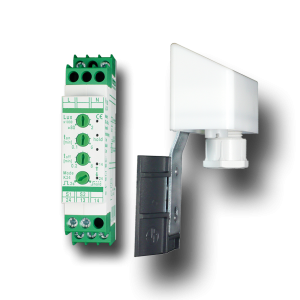 Universally applicable limit switch for the wind monitoring to protect electrically operated exterior blinds, awnings, etc. Incl. outer sensor for the measuring range from wind force 2-8. 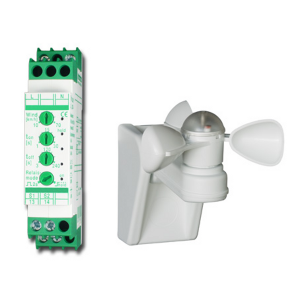 Control relay for controlling blinds and roller shutter motors with mechanical or electronic limit switches. For parallel operation of up to 2 blind or roller shutter motors without unallowed parallel switching of the drives. 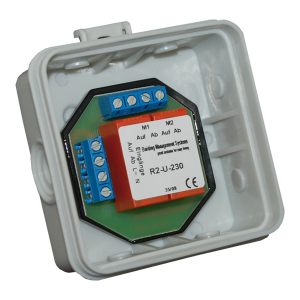 Control relay for controlling blinds and roller shutter motors with mechanical or electronic limit switches. For parallel operation of up to 4 blind or roller shutter motors without unallowed parallel switching of the drives. 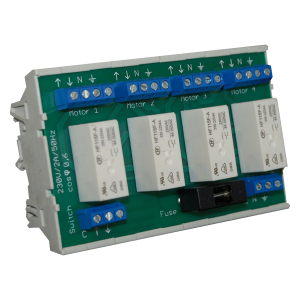 The isolating relay is designed for the connection of two 230 V motors with 2 end switches. It is controlled by a central 4-pole connection. 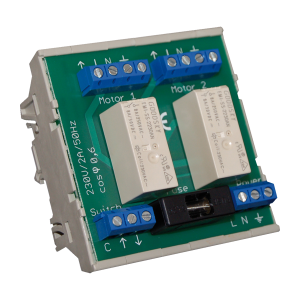 The isolating relay is designed for the connection of two 230 V motors with 2 end switches. It is controlled by a central 5-pole connection.